Whether you’re having friends over or traveling for a couple of weeks, the way you light your home changes depending on what’s happening in your life. But, rather than working hard to get your lighting just right, it’s a good idea to invest in a smart accessory that makes the entire process convenient. 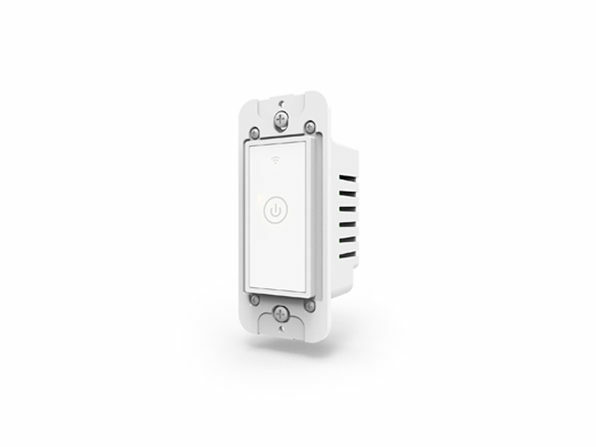 With the Meross Smart WiFi Wall Light Switch: 2-Pack, control your lighting via a smartphone app or voice-controlled assistant for an effortless lightning experience. This two-pack of smart wall light switches takes the hard work out of lighting your space. For starters, the switches are incredibly easy to set up, which means you won’t need to pay for an electrician. What’s more, you’ll be able to control your lights via the included smartphone app. Meaning, if you bolted out the front door and forgot to turn off a light, you can take care of that remotely — even if you’re hundreds of miles away. On top of that, these switches connect with smart home assistants. So, if you’re rocking an Amazon Alexa or Google Home, you can conveniently control your lighting while cooking, entertaining, or going to bed. Even cooler, these switches let you set a lighting schedule, which makes it easy to keep up the appearance of someone being home while you’re away on vacation or a business trip. Get this two-pack for 13% off at $39.99 in The Daily Caller Shop.